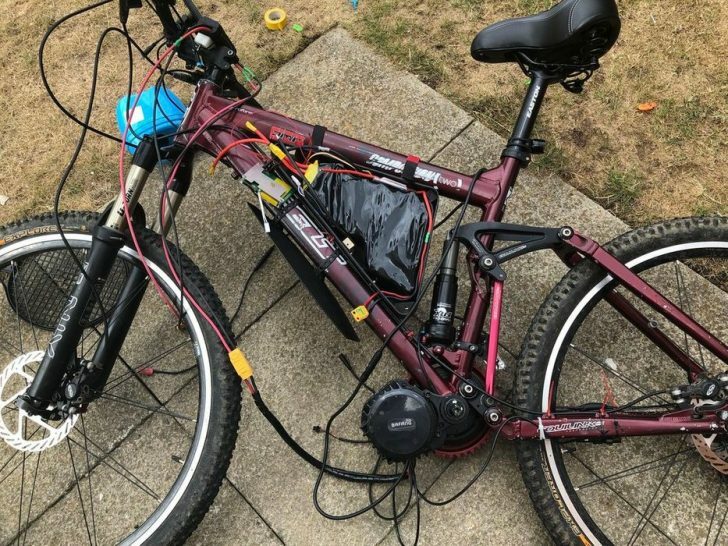 For sure, you know what e-bikes are, and you probably own one or have plans to buy one in the near future. Imagine driving through the city, or even go off-road, on something that can be both a scooter and a bicycle, depending on what you want, but that is not the cheapest thing to buy. 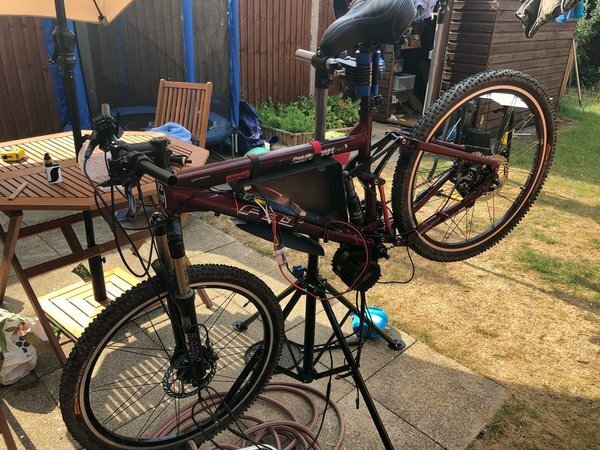 Instructables user AndyR128 has developed an amazing go-anywhere e-bike based on a full-suspension mountain bike. 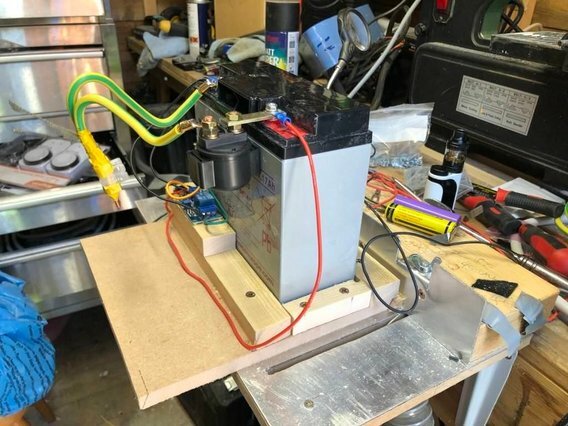 He installed a 1700W mid-drive electric motor and achieved a range of 40 miles, and, most importantly, he shared with us the instructions on how to do the same at home. 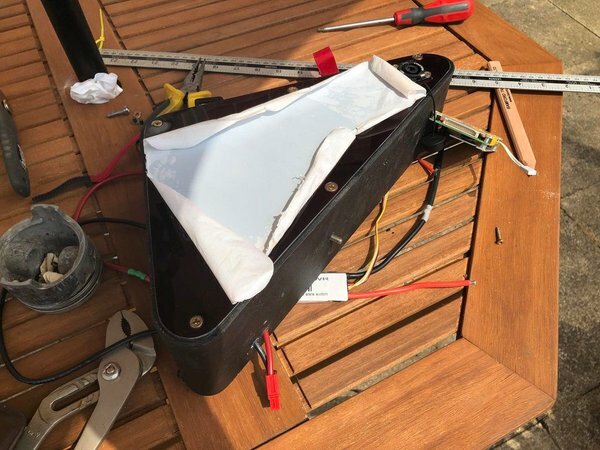 He used the BBSHD motor system from Bafang, providing 1700 W at 58V. Step 2: Measure Your Bottom Bracket and Check What Type it is. The first step will be a check whether our bicycle frame can take the BBSHD. The motor is designed for a standard BSA threaded bottom bracket. Depending on the width of your bottom bracket, you can choose out of three available options: 68mm, 100mm, and 120mm. The 68mm item is good for the bottom brackets up to 73mm in width. Measure your bracket to choose the right motor. 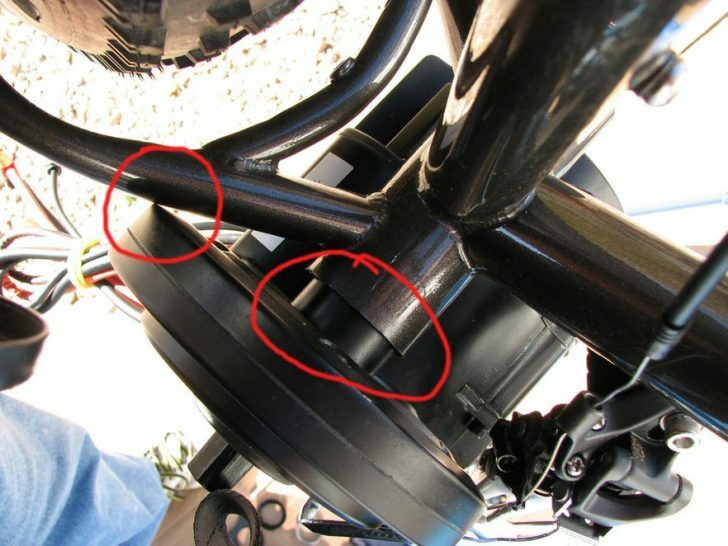 If your bike doesn’t have a standard BSA threaded bottom bracket, you can still build your e-bike: check this article. Step 3: More Measuring and Potential Issues. The BBSHD has a large secondary reduction gear housing (136mm in diameter). Check if there is enough space between the bottom bracket and the chainstays to place the motor. 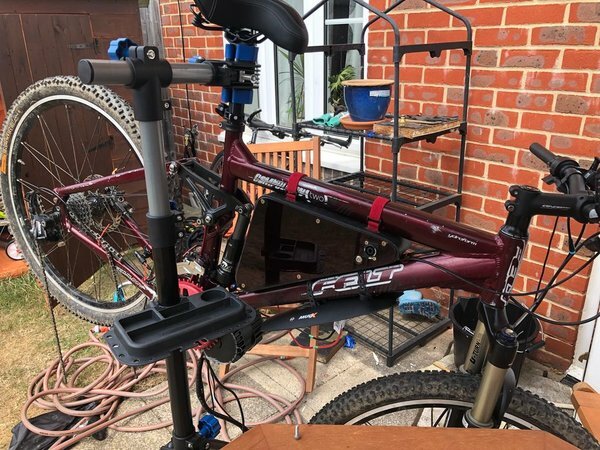 In the example bike in the pictures, the electric motor will not fit flush against the bottom bracket without fouling the chainstay. It is a big issue since we need clearance for the chainstays to be able to move. 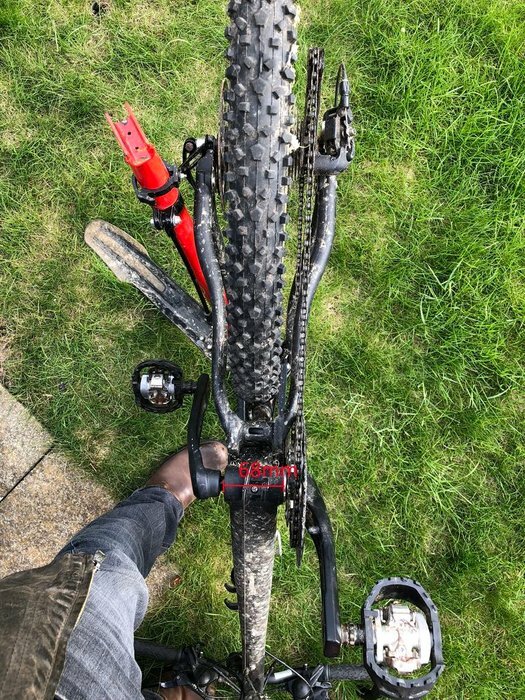 If you have wide chainstays but a narrow bottom bracket, see the original post to find some possible solutions. 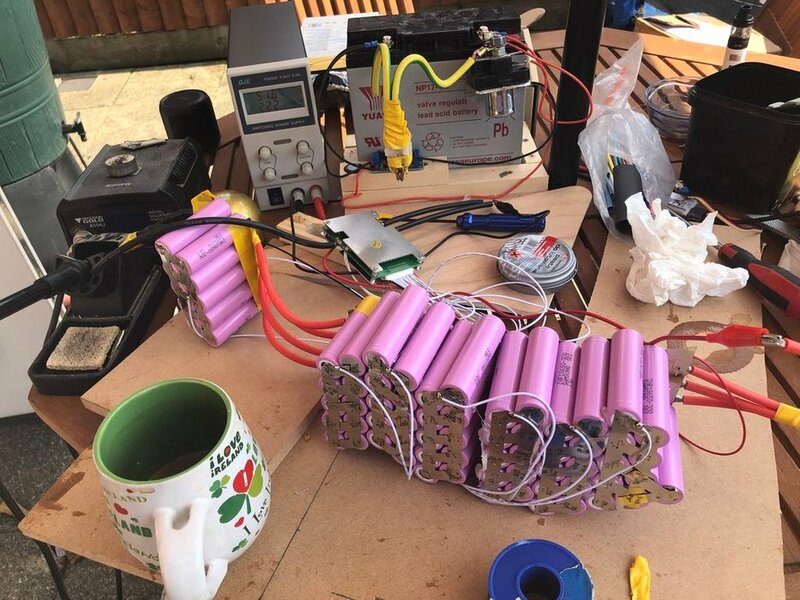 The author of this Instructables decided to build an e-bike battery, using 1850Li-ion cells. 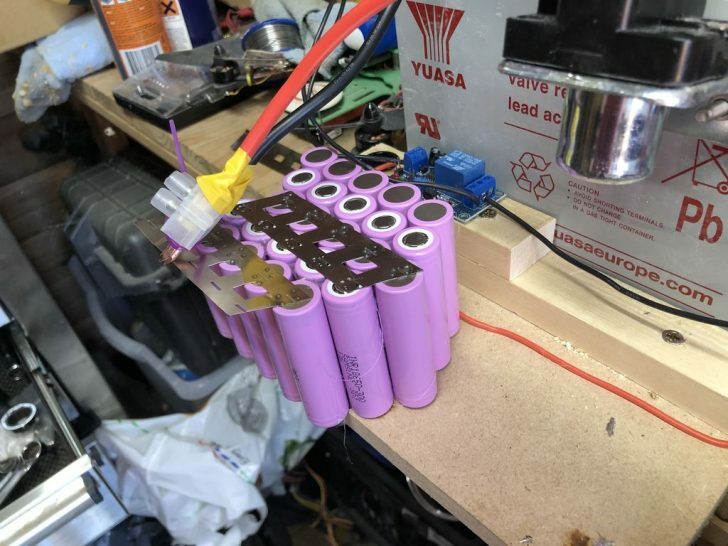 He wanted a good range for this battery so he decided to use either 4 or 5 cells in parallel to give a current and capacity of either 80A/12000mAh or 100A/15000mAh respectively. 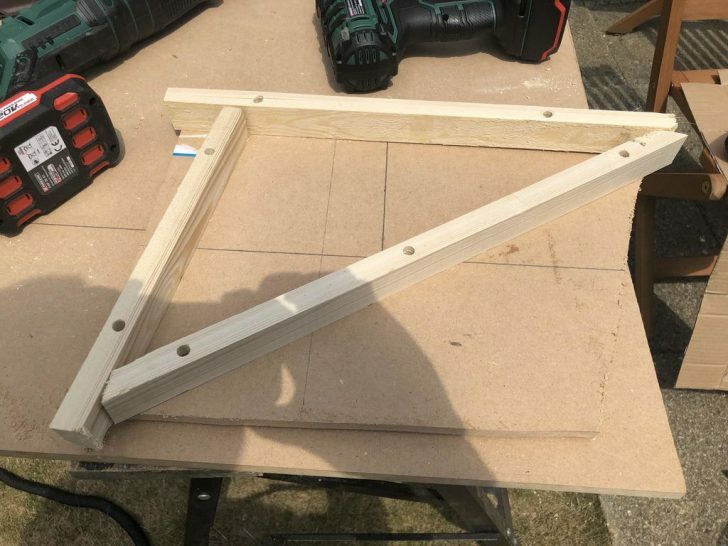 Lay your bike frame down on a piece of card and draw around the triangle. Then, measure the template and create it in a CAD program. 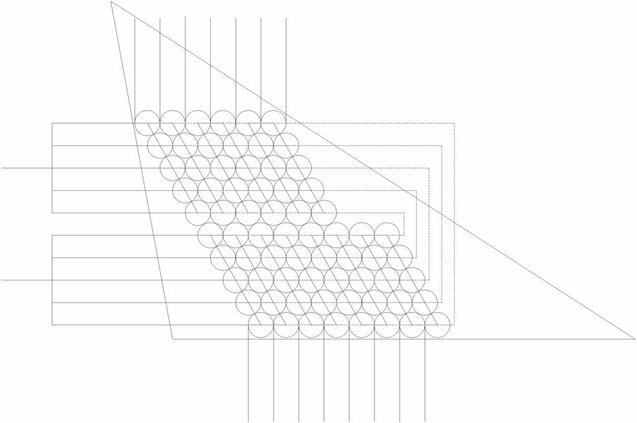 You can see from the CAD drawing that we can easily fit 70 cells inside our triangle. 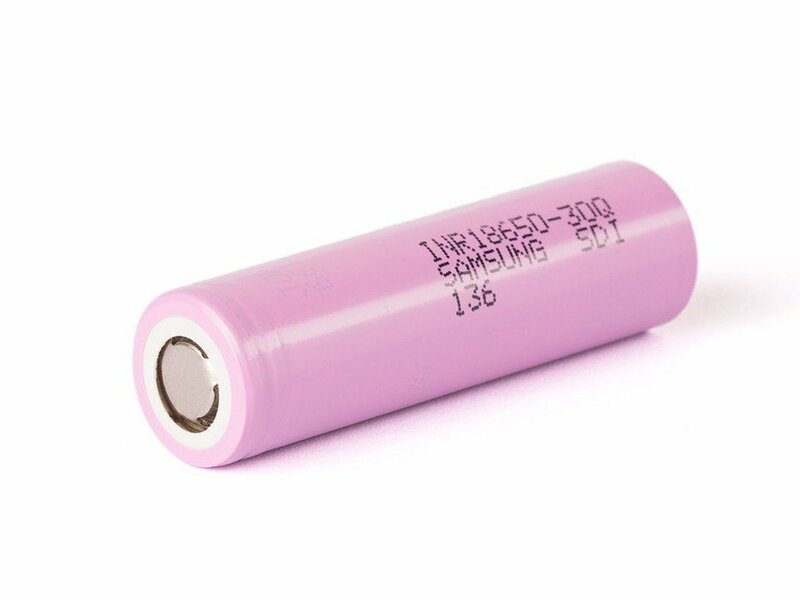 This will give us the 14S/5P configuration for 52V. 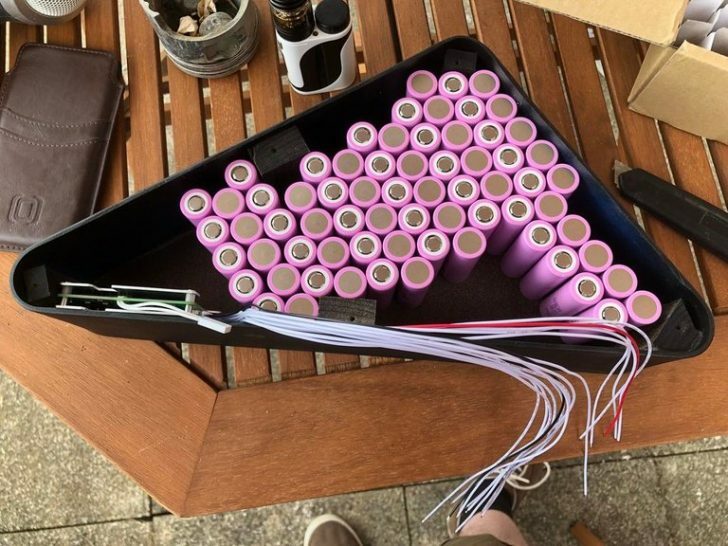 100A, 15,000mAh. 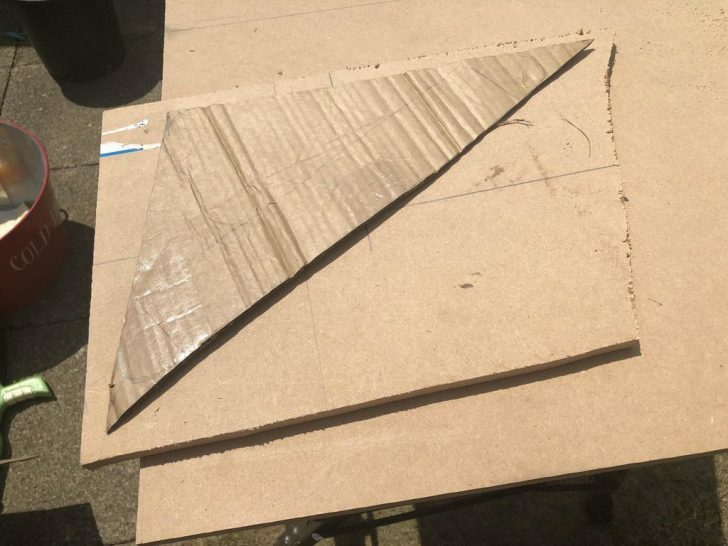 Cut out the template you made before by drawing around the inside of your frame triangle and lay it on some MDF or ply-wood board. 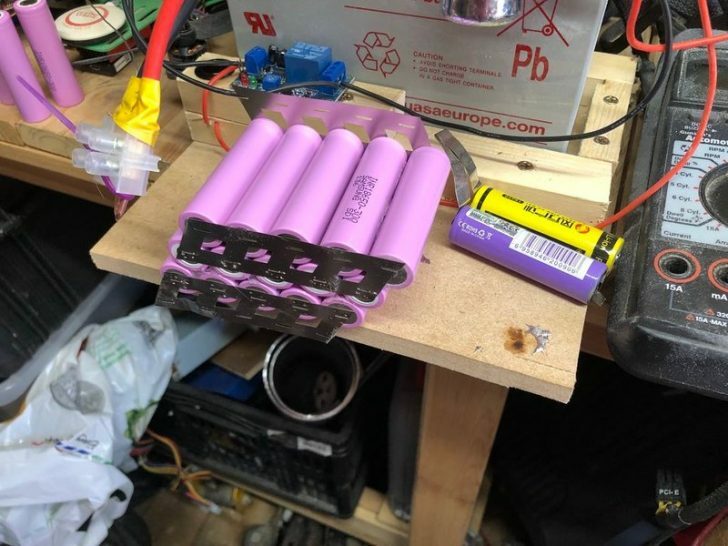 To form a jig to make the perimeter of your battery box, take some 1″ x 2″ pine or similar and cut it down and screw it to the board around your template. Acrylic is an appropriate material for this task: it is hear-wearing and easy to work with. Cut some acrylic into a long stripe with a width of 18650 cells ( 65mm) + about 6mm. 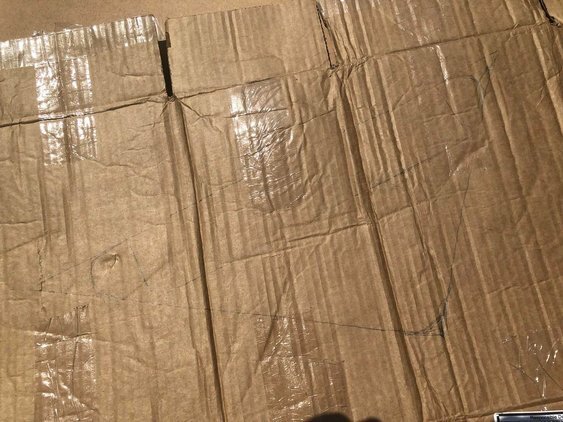 The corners of the box should be curved, and not sharp since it could be dangerous while riding. You can use 2.5″ bathroom drain-pipe to achieve the needed form. In order to bend the long piece of material, use a heat gun. (For more detailed instructions, read the original post). 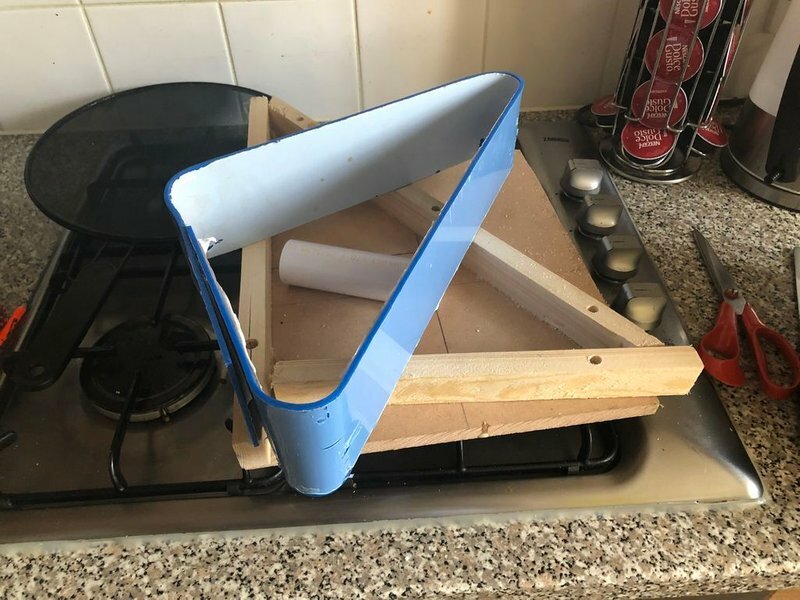 Once all the corners are made, cut off the excess and glue it with Gorilla glue. 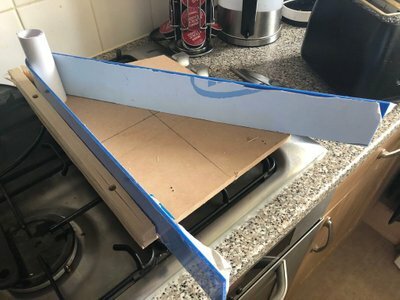 Now, you have to make the side of the box. Draw it on the material you will use for this and cut it. The author used plywood and some acrylic over the top. The author placed 70 cells in the box. He arranged them in a group of 5 for parallel connections, and then connected the groups serially. Additionally, he recommends using the Battery Management System to keep cells balanced and healthy. 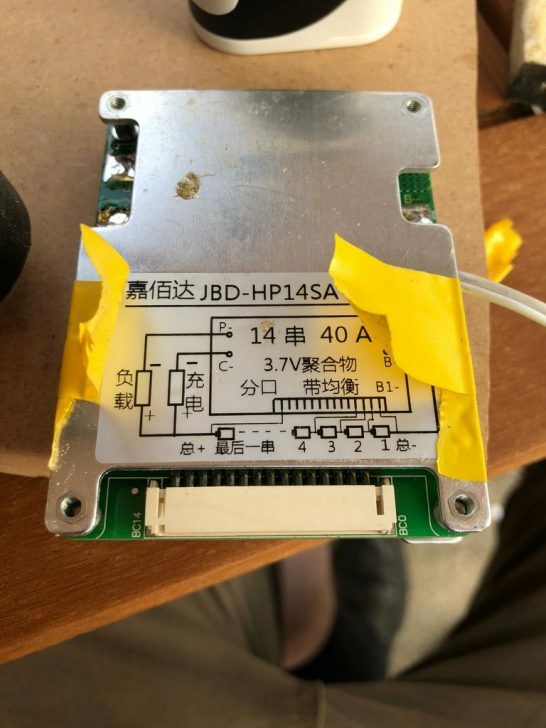 He used a JBD-HP14SA which is capable of 40A and 14S. 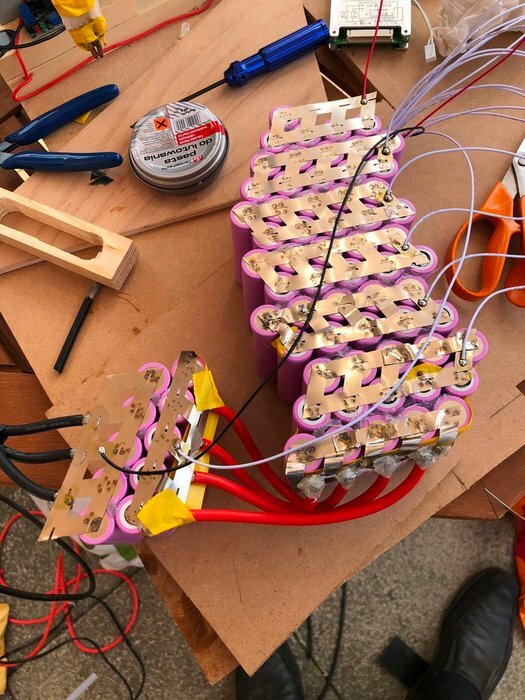 Do not try to solder the cells, since it will destroy them. 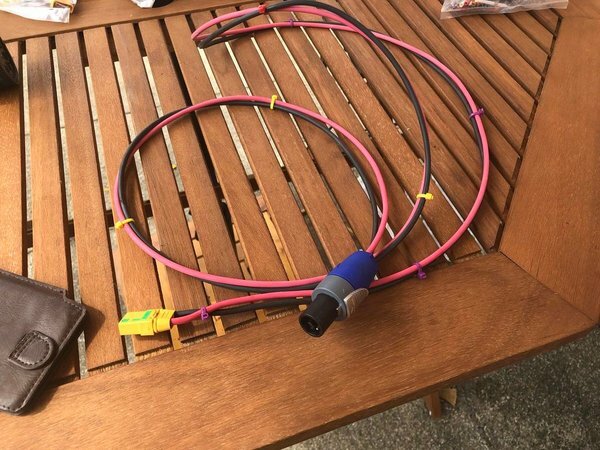 You will need a spot welder, so you can buy it on eBay relatively inexpensive. 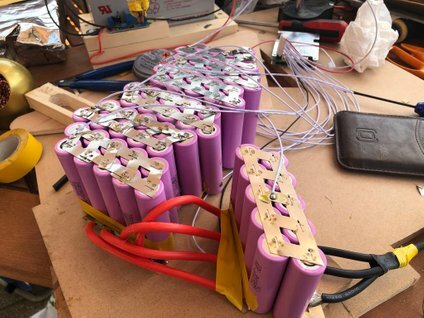 Gradually weld the cells together in parallel groups. Make a simple jig for the first group of cells to keep them steady while you do the first welds. Do not forget to use some card insulators around the positive terminals. Additionally, test each cell before you weld. Attach the groups of cells together using hot glue. Now, you have to connect the sensing wires of your BMS. It will monitor the voltage of individual packs and check if they are balanced. First of all check the connections. Then set your power supply to 58.8V and 2A and switch it in. Do not leave your battery charging without being watched. Be ready to kill the power if anything untoward starts happening. Use heat-shrink wrap and heat it with a heat gun until it’s tightly wrapped. Take a wrap that is 25% larger than your pack. 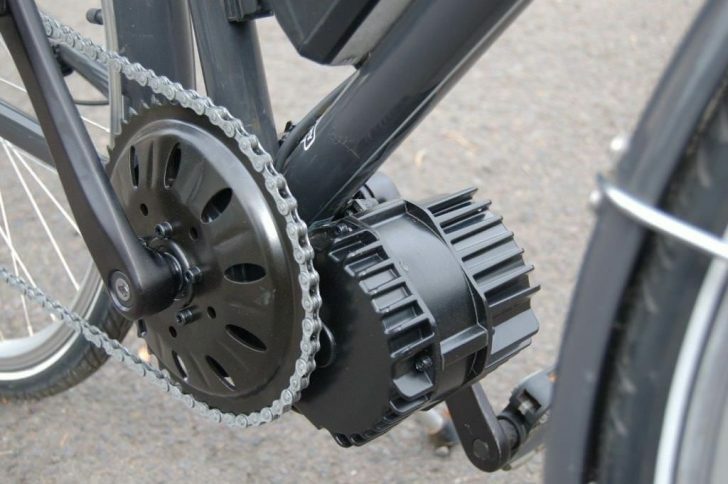 Slide the motor through the bottom bracket, add the included bracing, and tighten up the securing nut and lock ring. It is a good idea to fit the chain at this point to check your chainline. 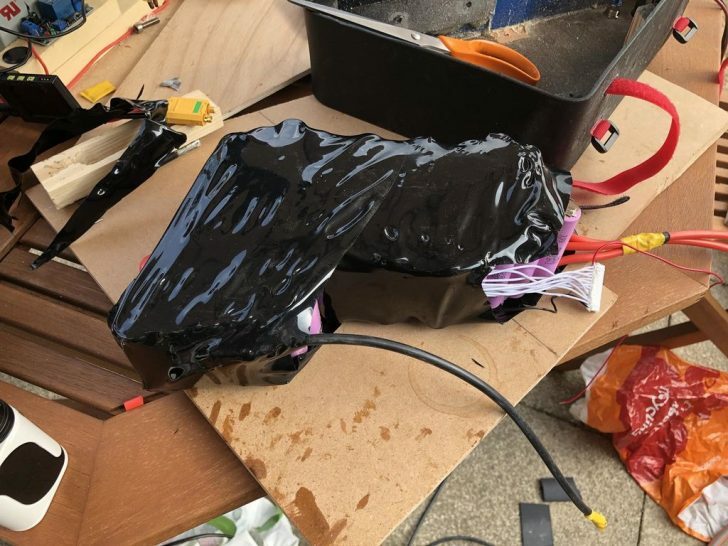 You should start routing before you put the battery in the box. You may also find that you can’t actually attach the box with the battery installed due to clearance issues. It is a good idea to add a monitoring display since the BBSHD’s one isn’t accurate with its monitoring of current and voltage. 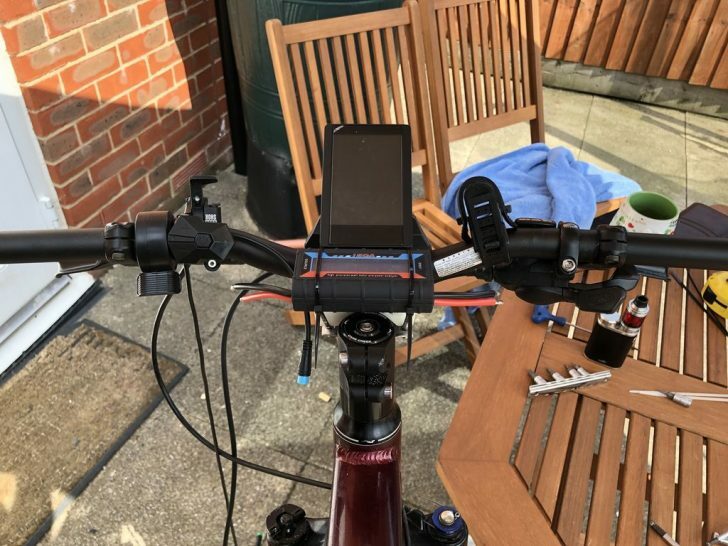 AndyR128 chose to use a power meter by Turnigy. However, it will complicate things a lot, so it is optional. You can solder the power connectors and the BMS in. 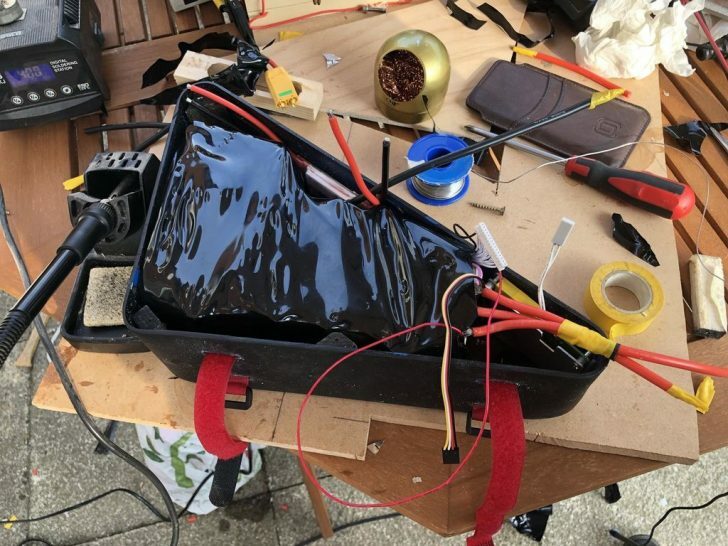 You can see that he is using XT90AS connectors for the main power wires. These are good for 90A and the AS version is anti-spark. This is an optional, but recommended step. Brake cutouts will kill the motor every time you pull a brake lever. 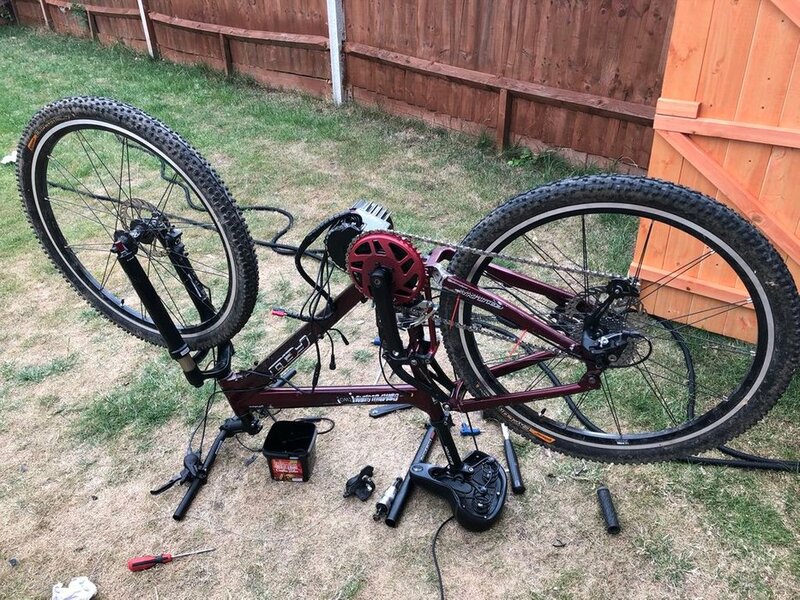 It is important to use good hydraulic disk brakes since we are building a 1700W e-bike. You can buy hydraulic sensors that are plug and play ( a hall-effect sensor, and a magnet). 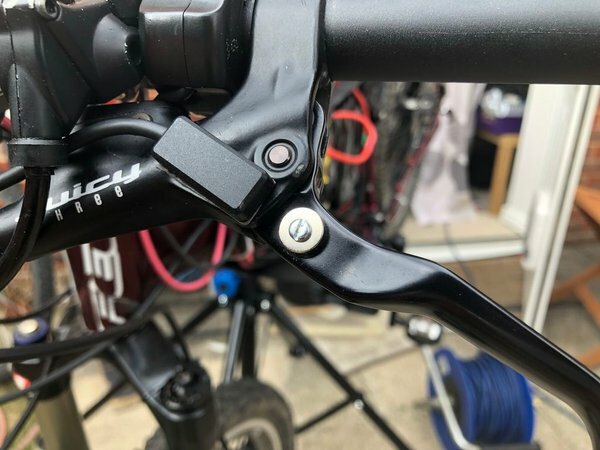 Attach the sensor to the brake lever housing and then find where the optimum position for the magnet on your levers is by holding it in position and seeing when the display indicates that the brakes are engaged. The Speed sensor consists of a small magnet that you attach to your spokes and a sensor. 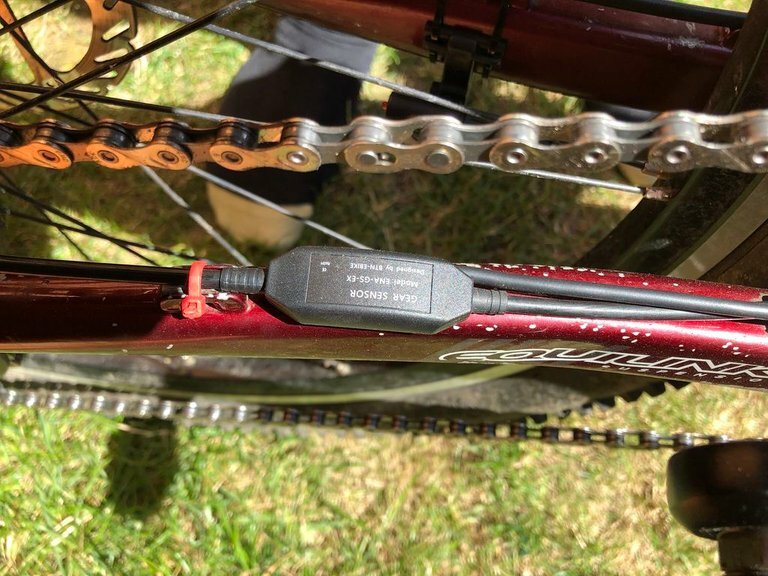 Place them on the rear wheel of your e-bike for ease of cable routing. Gear sensor is ,again, an optional item, but it will help you a lot. It will drop the power when you are shifting gears, to ease the shift. Gear sensor should be placed over the rear derailleur cable. 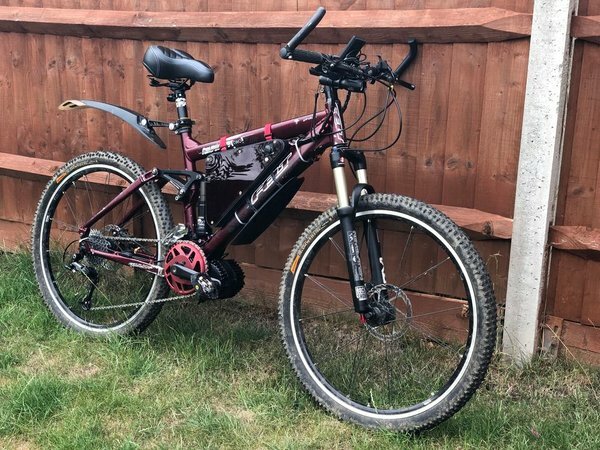 You should now have a powerful e-bike that you have intimate knowledge of and has better performance than most of the pre-built bikes on the market. Sahimo: Hydrogen Powered Car Consuming 1L/568 km!